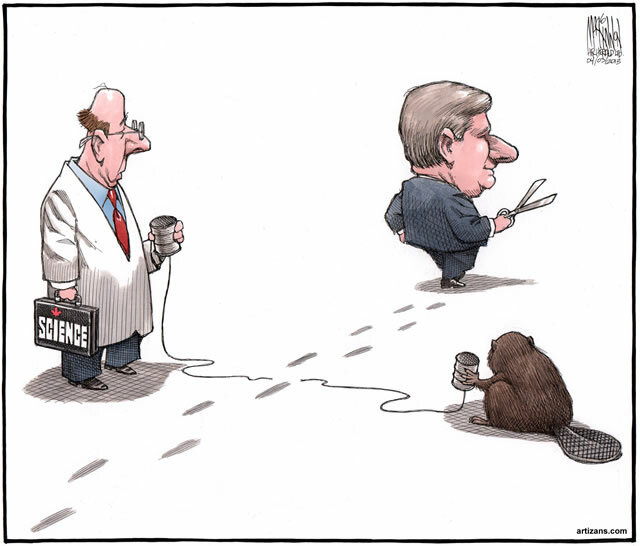 This week my rant is about yet another front on Harper’s war on science. 7 of 9 of our world-famous Department of Fisheries and Oceans [DFO] libraries were closed in the autumn of 2013. This was ostensibly to reduce cost. The government pledged to digitize the contents of these libraries to ensure no intellectual property was lost. In the modern information age, buildings holding books with information does seem a tad out dated. Digitalizing information not only makes it easier to store, allows more to be stored but also makes it more accessible. In theory. If this were where the story ended, you my loyal readers may ask what’s the rant? Well, it is coming to light that only a fraction of the contents of these libraries have been electronically copied. It seems that only 1 in 20 books were converted. Some have been transferred to other libraries, most were given away for free to anyone who walked in and took them from the shelves and a large number are or were burnt or sent to landfills. I have yet to confirm the book burning but it does add a touch of historical resonance. The government claimed the libraries were not used but based this conclusion on the number of people who asked for help. Let us remember these are largely academic resources used by people who know their way around a library…not likely to need much help. I suspect is was the only measure they could find that seemed low enough to support their political agenda. Okay…that was a little partisan and I want to make a clarification. Much of this rant is centered on a report from the Tyee…a center-left publication and based on interviews with scientist working for or with the DFO. I have collaborated the central themes, closure and dispersal of books, but I have yet to be able to confirm it in its entirety. That said, Harper’s government has a history of this kind of stuff, so I am willing to give the report the benefit of the doubt. One interviewee explained how the system works. The library itself is not actually run by DFO but by Information Management and Technology Services (IMTS). This takeover occurred in 2009. IMTS operates under a corporate business model. Under this model, one sector of government sells its services to another sector of government with the objective of providing the least amount of service for the largest possible service fee. This would seem to be a very bad business model for running a government department that has the prime objective of long-term public good — giving the public the best return possible on their tax dollar across all sectors of government through working co-operatively. 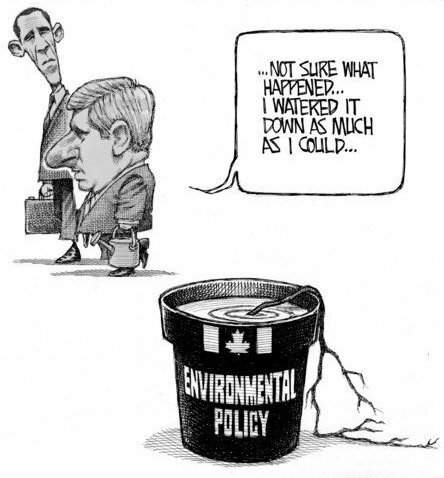 Getting back to the Harper agenda, in isolation this would be conjecture and perhaps conspiracy thinking, but couple that with the fact that the government has shut down a number of research groups related to this content, most infamously the Experimental Lakes Area, the Hazardous Materials Information Review Commission and the DFO’s entire contaminates research program. There has also be much reduced funding for the Freshwater Institute and the Centre for Offshore Oil, Gas and Energy Research. To bring it home, the last one, also known as COOGER, is the group that would do research into things like offshore oil spills and environmental impact of oil shipping…you know, that thing that they are planning to do in Northern BC to ship Alberta oil to the Asia…Northern Gateway…the one where they promise a ‘quote’ world class response to any oil spill. Hard to have any kind of response when you cut the funding to one of the main research entities focused on that oil-spill issue. And those works that are transferred to other libraries, access becomes much more difficult. Scientist or the public will no longer be able to walk into a local DFO library, scan the shelves for a pertinent book and grab it. No, now they will have to know what they want ahead of time, make an inter-library loan…time and effort many will not likely go to thus making scientific research that much more difficult. 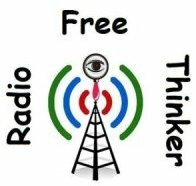 He sees a pattern, the closing of research groups, cutting of funding for environmental research, the muzzling of scientists which we have talked about many times before here on Radio Free Thinker. 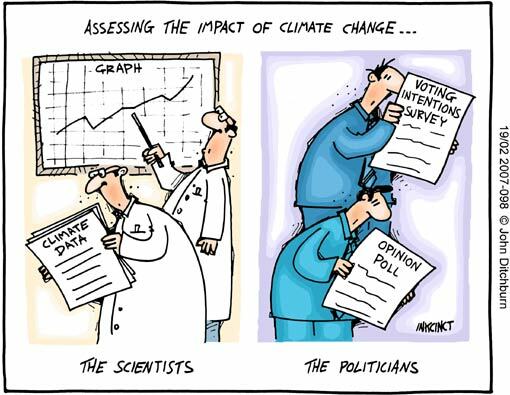 The near abandonment of climate change research and although Harper is not as bad as Australia’s new Prime Minister who in a 2010 rally stated “The climate change argument is absolute crap, however the politics are tough for us because 80 per cent of people believe climate change is a real and present danger”. Australian business are also lobbying the government to loosen or at least not tighten greenhouse gas regulations to ensure maximum fossil fuel extraction…they have dirty coal, we have tar sands. In this they both state that nothing major needs to be done. 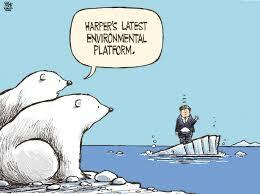 Harper is just ensuring there is NOT the science to contradict his policies. Infamously Harper abandoned the Kyoto Protocols which called for a 6% reduction of CO2 based on 1990 numbers and pulled out of his arse a 17% reduction based on 2005. That translates into a level over 20% higher…assuming my math is correct…higher than 1990 levels. 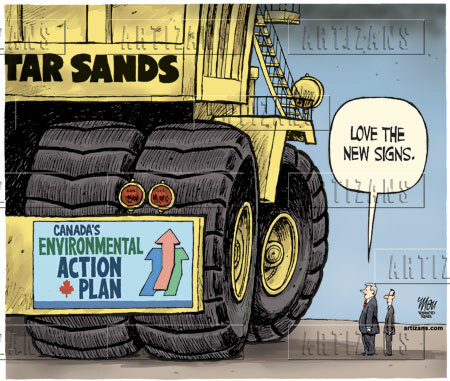 All these things indicate that the Harper government strongly regards environmental science as a threat to unfettered resource exploitation. One last note, a number of interviewed scientists spoke anonymously because they feared that their funding or other government support could be hurt if their names were connected with the concerns they were eager to share. Remember our reporting on loyalty oaths to the government and not to the nation? Here you see it come home to roost. Thanks to our electoral system we cannot stop Harper’s dismantling of the government…of sciences, but we sure as hell can raise a stink about it…make sure everyone knows what he is doing. The sadist part of my research into this is the absence of coverage by the mainstream media. Even the CBC barely covered the story of the closures let alone the impacts and follow up on trashing government funded research. As Harper’s arrogance grows, his disrespect for Canada and Canadians…beyond the business class and moneyed elites… has become blatant and stark. 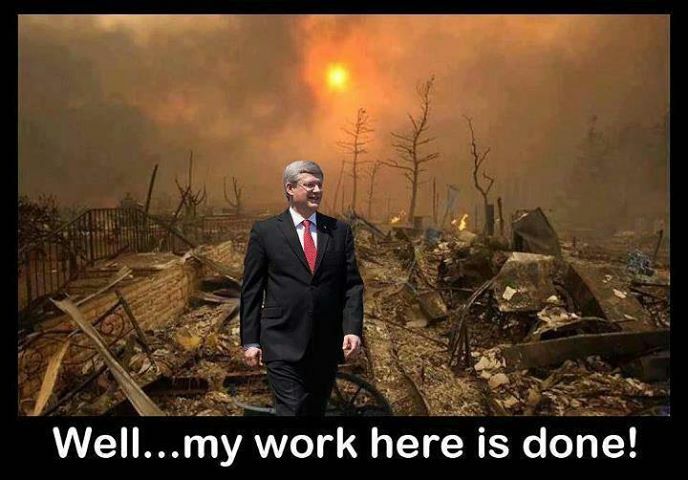 But cracks are showing and if and when criminal charges are laid regarding the Duffy Scandal, mayhaps the mighty Harper maybe kicked out by his own party. 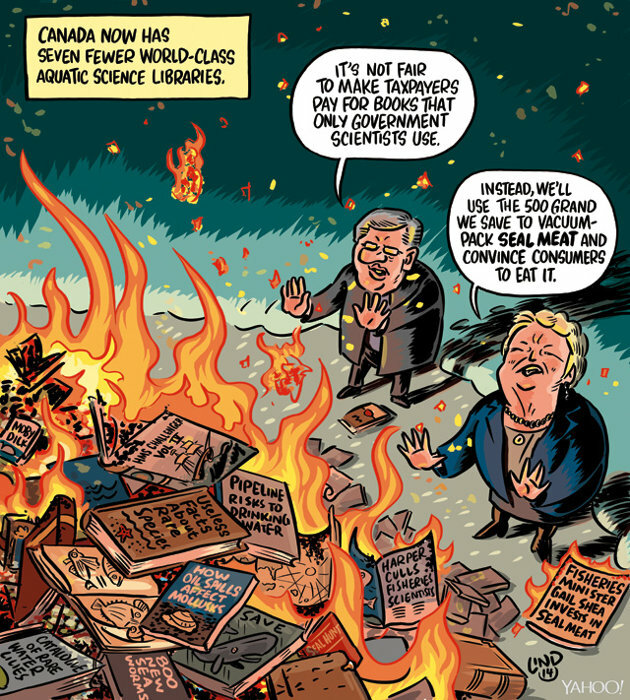 What’s Driving Chaotic Dismantling of Canada’s Science Libraries? Don’s Rant is all about the closure of almost all of the DFO’s libraries. The contents of the libraries were either given away or tossed in the trash. Scientist complain that the government did not live up to it’s promise to digitize the libraries contents and that this is just another front Harper has opened on his war on science. 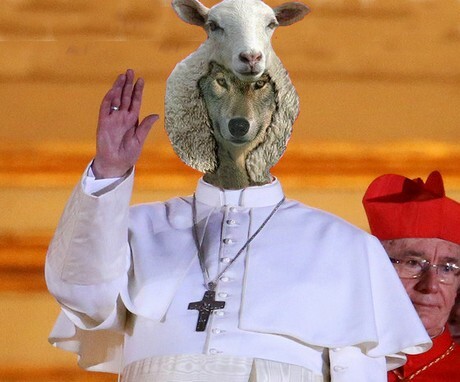 The Catholic Church has a new Pope, who is he? Does he come with come darker baggage? Is he the right person to rescue the church form its current troubles. Poster Pope or A Pope on a Poster? Is Pope Francis signalling a Vatican shakeup? 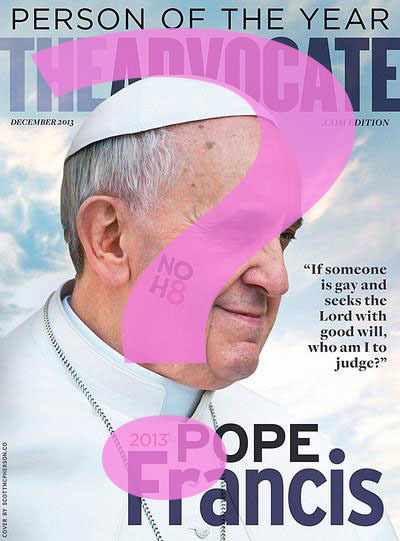 We also discuss the charm offensive of Time Person of the Year, Pope Francis. Does this pope spark real change or is it just a new ploy dreamt up by former Fox News reporter now head of the Vatican public relations. Is there a ‘real’ Pope Frankie who has masterminded the smoke and mirrors that is Pope Francis while Pope Frankie continues the condemnation of church doctrine? Does the actions match the rhetoric? 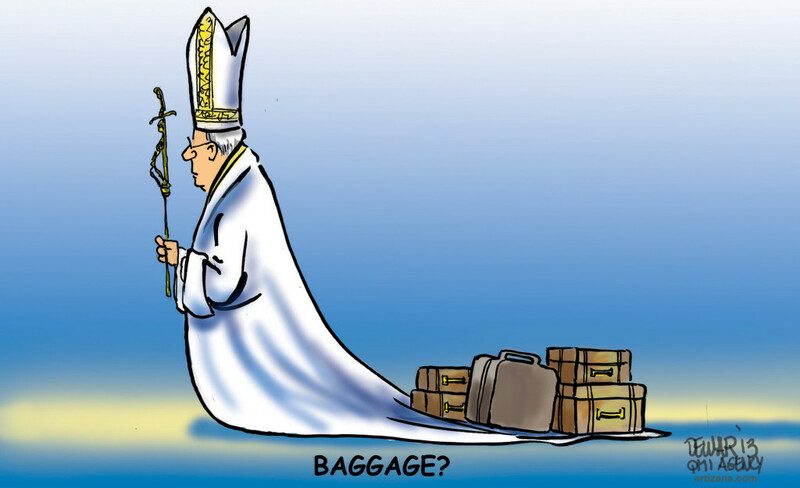 Atheist should be very afraid of this pope, the easy battles with the cartoon caricature Pope Benedict presented are gone; the church has launched a new offensive. Are we up to the challenge?